Summerlin Centre real estate developer halts construction progress for at least a year. Construction delays on the Las Vegas Strip, including Echelon resort, are sending a ripple effect throughout the valley. The recent delay involving General Growth Properties’ shopping center, named High Street at Echelon, extends to their retail property in Summerlin. 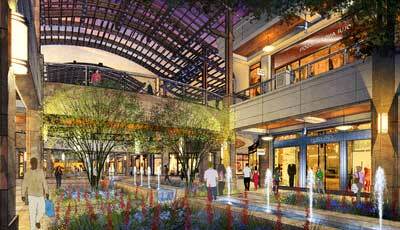 The Shops at Summerlin Centre in Las Vegas, Nevada real estate includes Dillard’s, Macy’s and Nordstrom. The real estate developer of Summerlin Las Vegas announced two new additional retail anchors for the 1.5 million square foot retail center adjacent to Red Rock Casino Las Vegas.